We have a New Athletic Director ? Who is it ? Like our marketing intern doesn't have enough to do already. 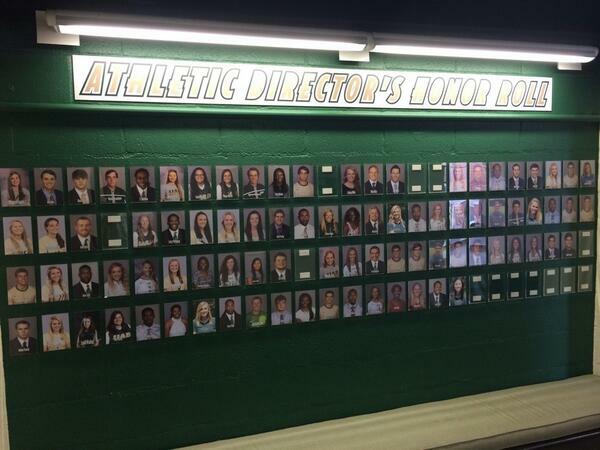 I don't know that the redesign of a wall of honor has anything to do with the marketing department. But don't let yah stop anyone from trashing. By the way, the wall looks good.